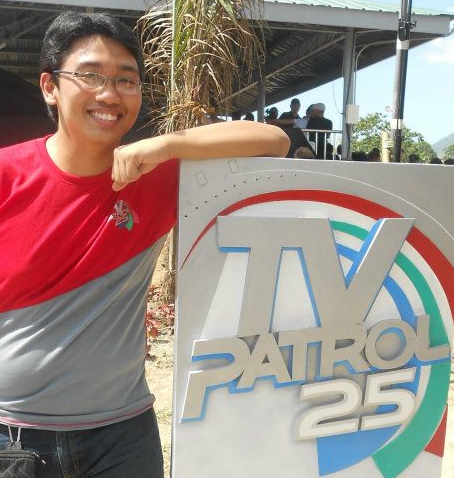 Before “TV Patrol Linggo” debuted on the air on May 9, 2004, TV news on weekends was usually relegated to short, late-night rundowns of the day’s events or the week’s top stories. Today, the weekend newscast is a mainstay in a 24/7 news environment. While manned by smaller teams, aired on tighter time slots, and watched by lesser viewers, they provide a needed avenue for public service–especially when the breaking event strikes. TACLOBAN CITY–Another storm, another scandal, another switch of leaders. We faced familiar events this 2013, only bigger in scale and more sobering in the lessons that came with them. We survived the déjà vus of the year, but they were not all shakeups. We also turned back time as we marked milestones in our long-time relationships. Among them, a replay of the first journey my parents took together. This year, my adventures with the news team landed me in new places and let me revisit old ones to see different scenes. Unfortunately, some of those trips did not bring good news. I’m glad to say though that I’ve been able to keep writing despite the rigorous field production assignments. This year, an expanded story of an emotional tribute I got to cover helped PinoyJourn top its record for most hits in a day. Also, I was able to brush up on doing some enterprise stories for this blog—those fueled by interest rather than my daily deployments. I only added two installments to my “The Bookshelf” series: for another Agatha Christie mystery and for a sci-fi novel by Robert J. Sawyer. 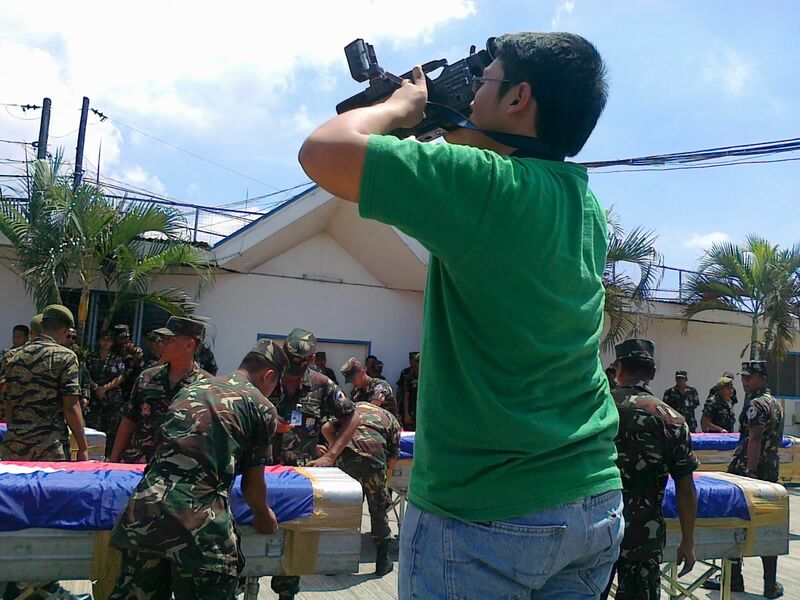 The untimely death of ABS-CBN Cagayan Valley reporter Julius Camba this year had some revisit a 2011 blog entry about my sole coverage with him—chasing a typhoon up north. I am also thankful for some of my posts getting replayed in outlets like photo blog Shoot.PH and the Lopez Group publication LopezLink. I’m bringing into the new year a bucket list of unfinished business—long-planned stories that still lack the sides of needed sources. Being on the field before and beyond office hours is not exactly ideal for booking and doing interviews. Here’s hoping that gets to improve this 2014. For now, allow me to replay the posts that brought the most readers to PinoyJourn this 2013. Finally got one! The WordPress.com stats helper monkeys prepared a 2011 annual report for PinoyJourn. Found this out first from Adrian Pantonial. I e-mailed WordPress asking how to get one, and voila! …Some visitors came searching, mostly for chiara zambrano, trish roque, tv5 building, buod ng sona ni pnoy, and jail bars. You can read more details about my top blog posts in this other year-end post. To all who’ve been part of this blog, many thanks again for a great 2011! 2011 saw calamities challenge our notions both of safety and of the status quo. This year, the stirrings of change disturbed the common and the powerful. One issue, one event after the other made us rethink or question our policies and our perspectives. We saw personalities resurface to accountability. Beloved figures passed on. We remembered the past, saw it repeat itself, and wondered what has changed. In the wake of it all, we got some answers yet we face more questions. This behind-the-scenes blog tried to find untold stories beyond the did-this-did-that sidelines of news coverage. Still, the media back-stories found themselves inserted in understated mentions. And even the unique circumstances warranted their own stories. 2011 began with a fleeting succession of big stories that for lack of downtime a number of them did not get written about here. Among them: the mysterious EDSA bus blast, the construction mishap that killed 10, and the flooding in Albay and in Jolo that sent me for the first time there. Even as the year ended, the season did not give pause for the routine holiday watch. 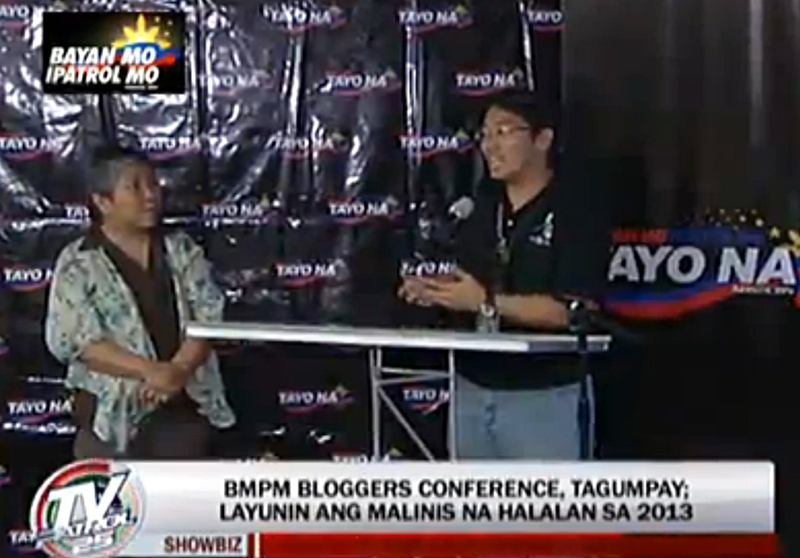 2011 also expanded the audience of PinoyJournalist as it affiliated with sites like ABS-CBNnews.com and ABS-CBN’s intranet newsletter E-Frequency. One result– the first post that breached the thousand-hits mark. I haven’t followed through on last year’s resolution for more features outside of current events or more book reviews. Chalk it up to limited writing time and audience considerations. 2012 will sure bring more stories, and I hope, more ways to tell them.